This is a great HAND-SIGNED 8x10 original sketch! You could own this artwork that has been authentically autographed by this incredible animator, director and voice actor. 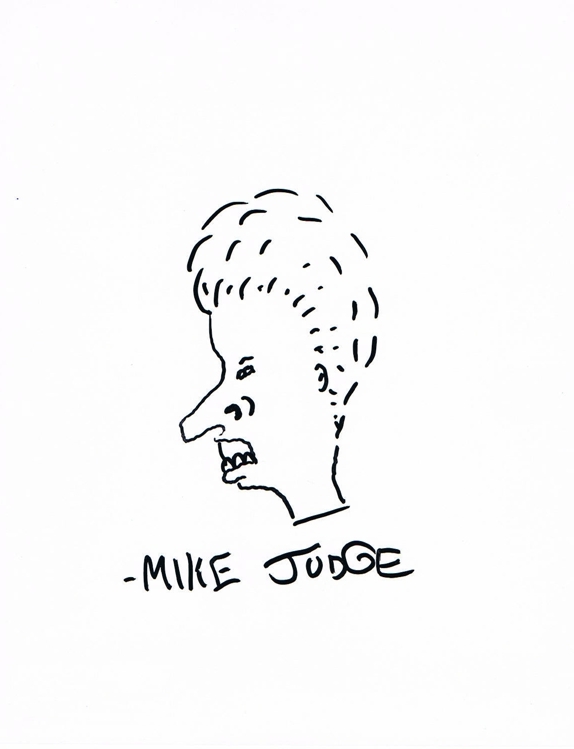 We never sell copies or reproductions of any kind; this sketch has been hand-signed by Mike Judge. 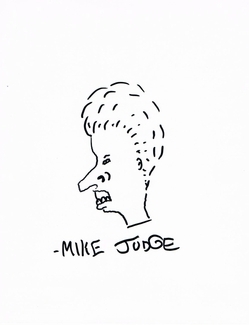 This sketch was obtained outside of the Apple Store in New York City on September 2, 2009.